I know you probably dont mean any disrespect from this, but I think it cruel and insensitive to view pictures of the wrecked police car and life flight on your site. Being the wife of a police officer, had that been my husband, it would be very disturbing and upsetting to me. Rest In Peace Greg!! I have to say that I can certainly see your point and I have wrestled with taking them down. Throughout the many years that I've done this website, this is the toughest decision I've had to deal with. The pictures weren't posted until it was looking like he was going to pull through. Sadly, that wasn't the case. As I type this, my mind turns to the family. That one reason is reason enough to remove them. 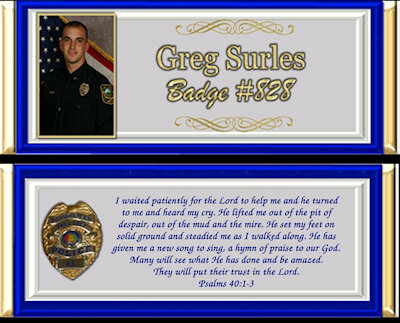 I would certainly never want to cause added grief to Officer Surles' family, co-workers or friends.